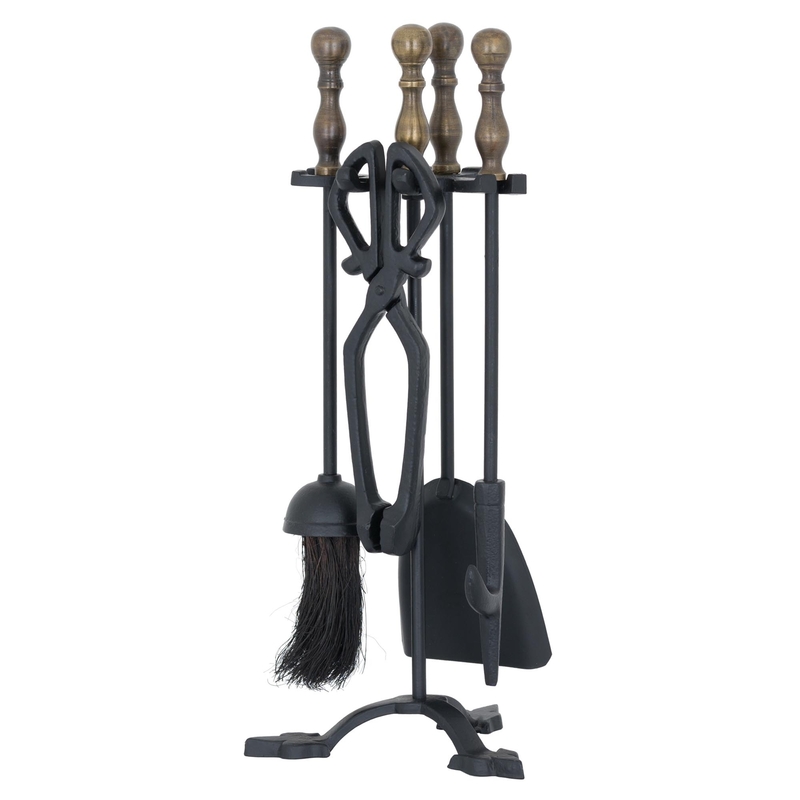 We are proud to introduce our Hand Turned Fire Companion Set In Black With Antique Brass Handles. A perfect piece due to the practical use of this product, its appearance and handsome looks. This piece is made from a high quality metal, with brass handles and a black body, both colours contrast amazingly off each other. Transform your fireplace with out amazing companion set.